The flurry of headlines over the past year trumpeting the rise of the religious left may suggest it’s a new phenomenon. The reality is, however, there has long been a link between religious beliefs and progressive values. A devout Baptist, who at 93 still teaches Sunday school nearly every week, former President Jimmy Carter has lived with a passion for justice, a devotion to stewardship of the earth and a commitment to nonviolence and even pacifism throughout his life – from the peanut farms in Georgia to the Oval Office in D.C. to the roofs of Habitat for Humanity homes around the world. 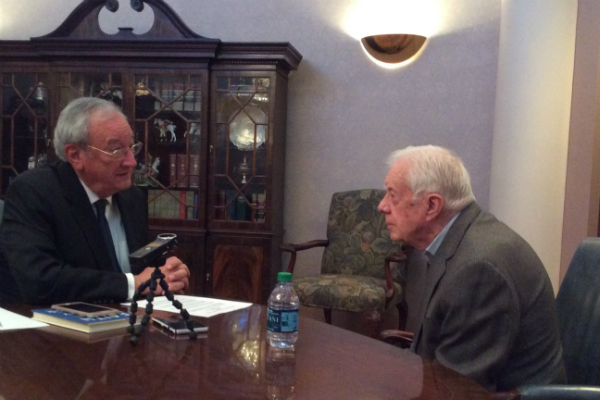 Welton will speak with President Carter this week in an exclusive conversation about faith, doubt, working across lines of difference and former President Gerald Ford. Hear the full April 14, 2018 State of Belief Radio program here.